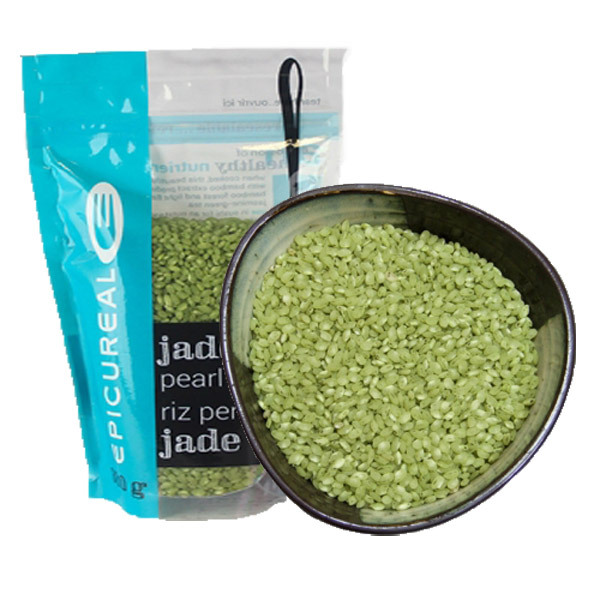 Epicureal Jade Rice (300g) Kissed with bamboo juice lending chlorophyll to pearl rice and giving it its characteristic green colour, jade rice is nutrient rich. Once cooked the colour fades releasing a fresh vegetal aroma. Serve this organic rice as a side dish, in rice pudding or as a hearty porridge.